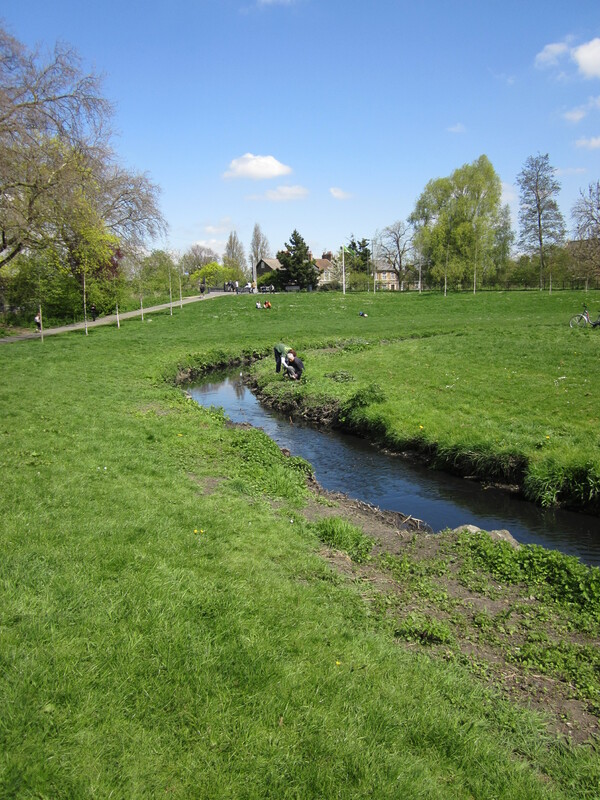 On a bright and sunny Tuesday our volunteers headed to Ladywell Fields for a dip in the river. 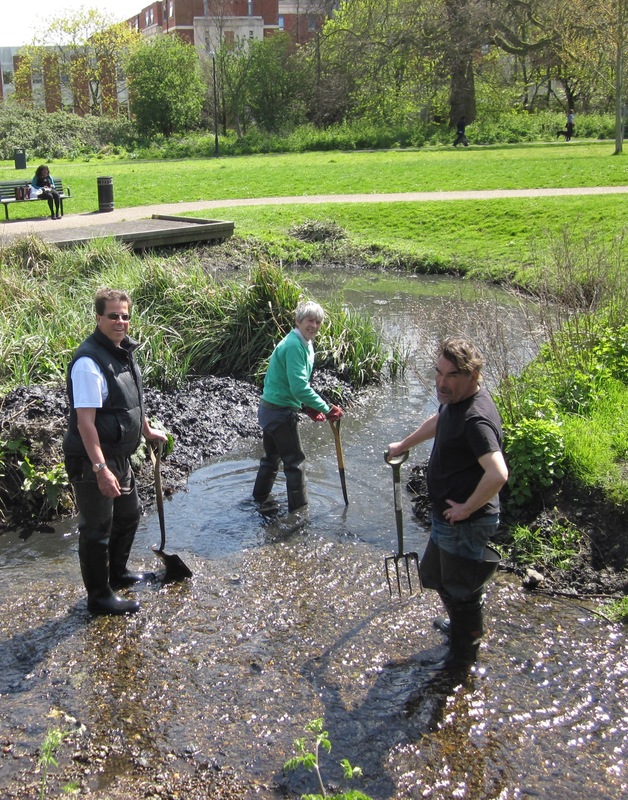 There was quite a lot to do, so some donned waders and cleared the Ravensboune of litter, while others concentrated on bankside management. Between the 4 of them the volunteers in the river pulled out 6 bags of rubbish in just a few hours. The volunteers working on the banksides were clearing nettles to allow other plants to grow. This will lead to more diverse flora along the river. This event was part of the successful Rivers and People Project which is now in its third year.There are many other events held as part of the project and may ways in which you can get involved. Please visit the Rivers & People pages to find out more.